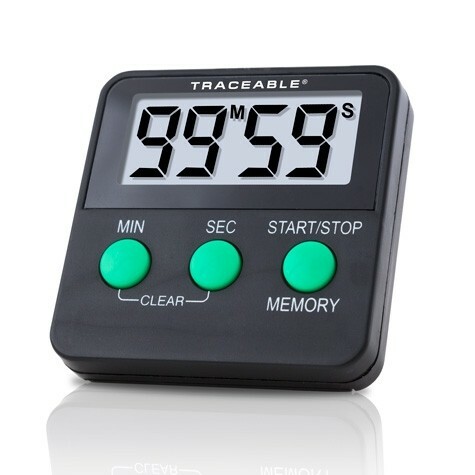 3-key operation makes this Traceable® Timer incredibly easy to learn and use. Timer counts down from 99 minutes, 59 seconds in second increments. Quartz-crystal timing accuracy is 0.01%. Nineteen millimetre digits are readable from 6 m. Alarm sounds for 30 seconds and then silences automatically.